The first information about Ukrainian forests can be found in ancient literature. Herodotus had written about forest in Oleshye region. Depending on their use and distribution forests in Ukraine fulfil various functions such as recreational functions, retaining water, environment protection. Furthermore, they satisfy the needs for forest products. 15.4% of forests are natural reserves and they tend to grow. 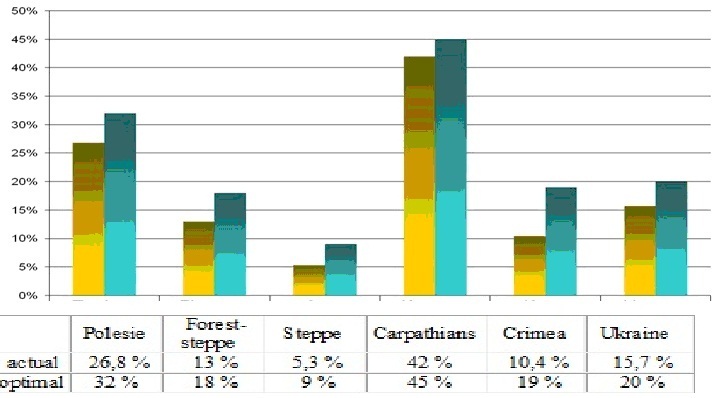 In Ukraine, there is a rather low average level of forest cover, which is 15.7 % of the overall Ukraine area. Over the past 50 years, the rate of afforestation has increased by almost 1.5 times, and wood supply by 2.5 times. In the years following the proclamation of Ukraine’s independence, the percentage of forest land increased by 1.4% (in 20 years). The growing stock is estimated at 1.8 billion m3 and the average annual increment reaches 35 million m3. 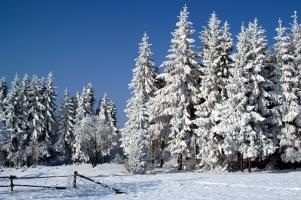 The gradual increase of growing stock in forests, confirms the considerable economic potential of Ukraine forests. 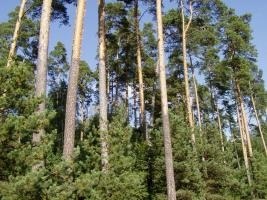 Ukraine holds the 8th place in Europe (excluding the Russian Federation) for its growing stock compared to the country’s forest area. Forests in Ukraine are located in various vegetation zones: Polesie, forest-steppe, steppe, Ukrainian Carpathians and Crimea Mountain, in which there are important differences regarding afforestation and forest management. Around half of the forests in Ukraine are artificially created and require intensive monitoring. The malfunction of the Chernobyl Nuclear Power Plant (1986) has led to radioactive contamination of the northern forest areas of Ukraine. Over the years the age structure of forests has been affected by the restoration of large forest areas in the post-war period. Thus, new forests were created in the years 1950-1970 of the past century. As a result, most afforestated areas include medieval forest stands (45%), whereas the average age of forests in Ukraine is over 55 years.